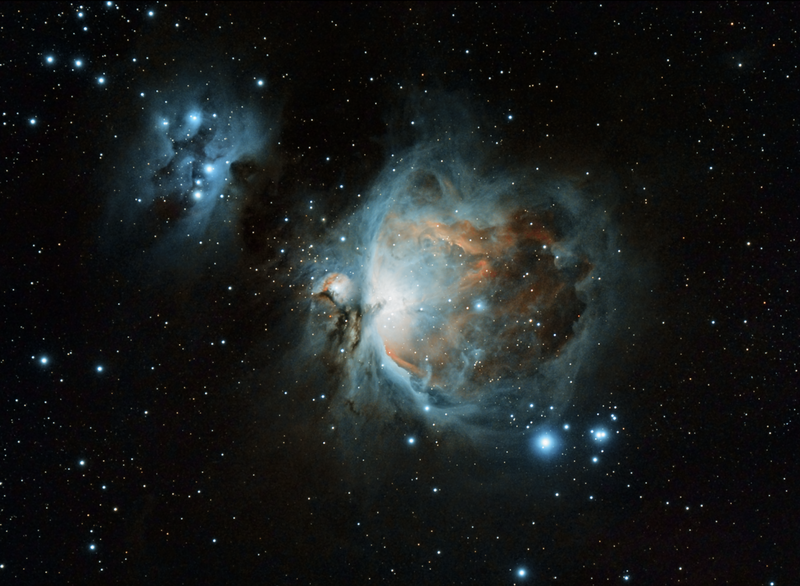 M42 - The Orion Nebula, plus top left M43 - De Marian's Nebula (aka "The Running Man Nebula"). This is 30 x 30 second exposures, plus 22 x 320 second exposures in an HDR composite, taken 11th Jan 2014. Again I was battling a nearly full Moon as we seem to get nothing but rain around here when the skies are fully dark! This image was processed entirely in PixInsight. I hope to get some longer exposures to try to capture more of the surrounding dust.